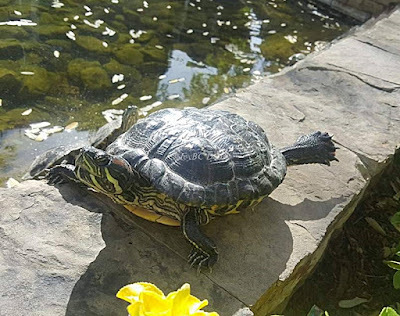 If you haven't gotten your exercise in yet for the day, be like this turtle and do some stretches. It is good for you, especially when you can get in some vitamin D too on a nice warm day like this. 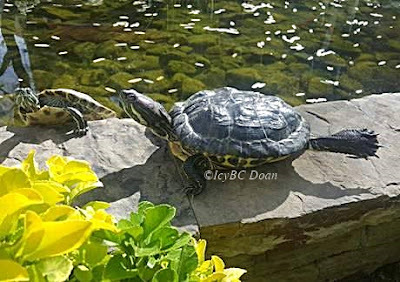 This is a turtle pond where my son lives, in California! He takes lots of pictures around the area to show me. These photos are his, and he said I can use them. He actually named this "Yoga turtle!" Gotta do those stretches first! I indulgent myself in running marathon. Hope that this turtle friend would join me.